Have you ever seen pictures that small children have drawn of their parents? They don't often look very much like the parents, but the parents still treasure these pictures. To them, the value of the pictures isn't in the quality of the art, but in the feelings their children have for them. Regardless of how poorly the pictures might be drawn, they represent the parents. And something similar is true of modern humanity. We aren't perfect pictures of God, but we're still his images. And that gives us dignity, honor and authority, as well as a very high calling in the world. This is the second lesson in our series, What Is Man? We've entitled this lesson "The Image of God" because we'll be examining what it means for human beings to be created in God's image. Human beings are physical representations that remind all creation of God's power, authority and goodness. And through us, he manifests his rule over the world and all its creatures. 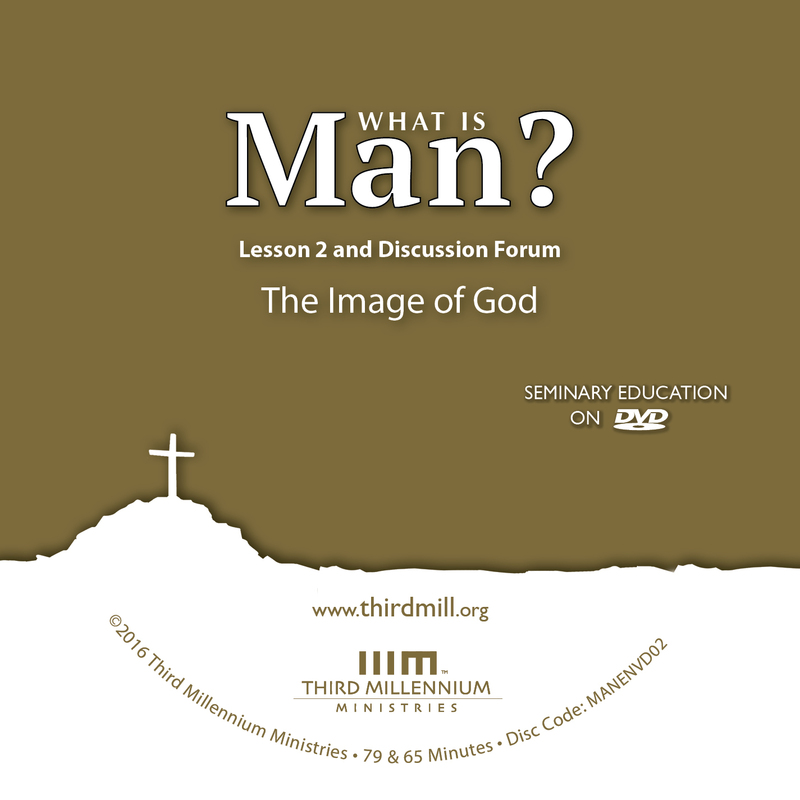 In this lesson, we'll consider three aspects of humanity's role as the image of God. First, we'll explore the image of God as an office or position we hold. Second, we'll focus on the attributes we possess as God's images. And third, we'll describe the nature of our relationships as images of God. Let's look first at our office. Right after Scripture introduces us as images of God, it says that we govern creation. So, at least one important aspect of being God's image is that we hold the office of delegated ruler. In theological terms, we're God's "vice-regents" — his administrative deputies or, in ancient Near Eastern terms, his servant or "vassal" kings. We'll explore our office first by considering how images of false gods functioned in biblical times. And second, we'll see how these images shed light on our role as images of the true God. Let's begin with images of false gods. For our purposes in this lesson, we'll focus on two types of images of false gods that were prevalent in the ancient Near East: idols and kings. Let's look at idols first. Idols were typically hand-made images. But they weren't merely intended to be visible representations of gods. When an idol was crafted, it was thought that the god it represented spiritually inhabited or indwelled the idol. This is why ancient religions venerated their idols. They believed the images were vehicles the gods used to be present with their people. In this way, the idols became representatives of, and even substitutes for, the gods themselves. [Ptah] made likenesses of their bodies to the satisfaction of their hearts. Then the gods entered into their bodies of every wood and every stone and every metal. Of what value is an idol, since a man has carved it? … Woe to him who says to wood, "Come to life!" Or to lifeless stone, "Wake up!" Can it give guidance? It is covered with gold and silver; there is no breath in it (Habakkuk 2:18-19). The false religions Habakkuk criticized believed that a divine liquid or breath resided within their idols, meaning that their gods could hear and perhaps respond to them through those idols. But Habakkuk insisted that there was no such divine presence within the idols. The carpenter … cut down cedars, or perhaps took a cypress or oak… [S]ome of it he takes and warms himself, he kindles a fire and bakes bread. But he also fashions a god and worships it; he makes an idol and bows down to it… [N]o one has the knowledge or understanding to say … "Shall I bow down to a block of wood? … Is not this thing in my right hand a lie?" (Isaiah 44:13-20). Ancient idolaters believed that when they offered food to their idols, or anointed them with oil, or venerated them in other ways, their gods were glorified by and benefited from this attention. But in reality, idols are powerless, and they aren't inhabited by the spirit of anything. Scripture teaches that some false gods are actually demons, as we learn in Deuteronomy 32:17; Psalm 106:37; and 1 Corinthians 10:20. Other false gods are purely imaginary. And in all cases, an idol is worthless and powerless. Scripture doesn't deny that idols are images of gods. It simply insists that the gods they represent are false, and that the images are powerless. But as mistaken as these false religions were, they can still help us understand how ancient people understood the term "image of God." They show us that, to an ancient audience, an image of a god was a sacred thing. Images represented the gods. They expressed and promoted belief in the gods. They spread the reputations of the gods. And they were thought to be instruments the gods used to be present with and to bless their people. Having looked at how idols functioned as images of false gods, let's turn to human kings. In many cultures of the ancient Near East, kings were called "images" of the gods they served. This was partly because the kings were thought to have access to the gods' special presence, similar to the way the gods were thought to be present in idols. And it was partly because the kings reflected or personified the gods' will. Kings were supposed to learn the will and wisdom of the gods, and then to enforce that will throughout their kingdoms. For example, in the New Kingdom period of Egypt, beginning around 1550 B.C., the pharaohs began to be referred to as the images of various gods. And this practice continued well into the period of the Old Testament. We know that Amosis I, who reigned in the 16th century B.C., was called "the image of Re," the sun god. Amenophis III, who reigned in the 14th century B.C., was referred to as "my living image" by the god Amon. And the god Amon-Re said to Amenophis III, "You are my beloved son … my image … I have given to you to rule the earth in peace." As we can see in these references, pharaohs were viewed as images of the gods because they ruled over the gods' earthly kingdoms. It was thought that the gods showed them special favor, maintained close communication with them, and expected the kings to carry out their will. Man is the shadow of a god… But the king is the image of a god. In an earlier letter, Adad-shumu-usur had said that both Esarhaddon and his father, the Assyrian emperor Sennacherib, were images of Bel. So, his point wasn't that Esarhaddon in particular was the image of a god. Rather, Adad-shumu-usur was saying that kings had a closer relationship to the gods than other people did. And therefore, kings were more similar to the gods than other people were. In Adad-shumu-usur's words, "Man is the shadow of a god," there may be a hint that the ancient Near East recognized varying degrees of images. They may have believed that kings were the truest images of the gods, but that people of lower rank were also divine images of a sort — the shadow, rather than the actual image, of a god. In any case, these uses of the term "image of God" help us understand how Moses' original audience might have received his teaching in Genesis. They suggest that ancient audiences might have looked at kings as the primary images of their gods because the kings reflected the gods' authority and will. And as a result, when they heard the term "image of God" applied to human beings, they might easily have assumed that it spoke of the office of king. Now that we've considered the office of "image of God" by looking at how images of false gods functioned in biblical times, let's look at how Scripture describes humanity as images of the true God. God said, "Let us make man in our image, in our likeness, and let them rule over the fish of the sea and the birds of the air, over the livestock, over all the earth, and over all the creatures that move along the ground" (Genesis 1:26). The first thing Scripture says about humanity is that we're the image and likeness of God. This is one of the primary ways God thinks about the human race. Our discussion of humanity as images of the true God will divide into three parts. First, we'll explore the biblical vocabulary of image and likeness. Second, we'll consider Jesus as the perfect image of God. And third, we'll describe our authority as God's images. Let's look first at the vocabulary of image and likeness.  The meanings of the words "image," or tselem in Hebrew, and "likeness," or děmuth in Hebrew, aren't identical. But they do overlap in many ways. An "image" can be a carved or cast idol, as in Numbers 33:52; 2 Kings 11:18; and Ezekiel 7:20 and 16:17. It can be a model, like the gold rats that were returned with the Ark of the Covenant in 1 Samuel 6:5, 11. And it can be a reflection or shadow, as in Psalm 39:6 and Psalm 73:20. By contrast, the word "likeness" never identifies an idol. But it does refer to statues like the bronze bulls in 2 Chronicles 4:3. It also identifies the sketch or plans for an altar in 2 Kings 16:10. And throughout the Old Testament prophetic writings, it describes the appearance or sound of one thing by comparing it to another. For instance, in Isaiah 13:4, the noise on the mountains is the likeness of the sound of a great multitude. And the prophet Ezekiel used likeness to explain the appearance of God's chariot throne in Ezekiel 1 and 10 where there were creatures that looked like various animals, and sparkled like gems. And in Daniel 10:16, the prophet described an angelic messenger as having the form or "likeness" of a man. Although not identical, the meanings of image and likeness overlap because they both describe a model or sketch of a greater reality. In a similar way, human beings are images and likenesses of God because we model God's power, authority and goodness. Without a doubt, our power, authority and goodness are tiny compared to his. But they still point to him. Now, many theologians believe that when image and likeness are used together, their collective meaning is broader than this overlap. In particular, they argue that while "image" points to our similarity with God, "likeness" distinguishes between God and humanity, so that we don't wrongly assume that we're exactly like him. We find similar statements in 1 Corinthians 8:6 and James 2:19. Scripture makes it abundantly clear that we aren't little gods, and we won't become gods in the future. Even when we're glorified in the new heavens and new earth, we'll still be mere creatures, and God will still be infinitely greater than us. Nevertheless, the similarity between Adam and Seth should incline us to see ourselves as more than just reflections of God's characteristics. Theologians infer a variety of doctrines from the biblical vocabulary of image and likeness. Some focus on our authority over God's creation. Others talk about the actual work we do. And others emphasize the fact that we share many of God's attributes in ways that distinguish us from animals. And all of these perspectives are true. We're God's images and likenesses because we rule over the earth as God's servant kings, and are endowed with the necessary qualities and abilities to perform our duties. Having considered our office as images of the true God in terms of the vocabulary of image and likeness, let's turn to Jesus as our perfect example. As God incarnate, Jesus is the only perfect human being that has ever lived. He's completely without sin, and completely perfect in all his human attributes. Moreover, as the Messiah or Christ, he's also the human king over God's kingdom. And of course, God's special presence dwells in him more than any other being, since he himself is God. So, however we conceive of the image of God, we must look to Jesus as the perfect example of what that image should be. Unbelievers … cannot see the light of the gospel of the glory of Christ, who is the image of God. For we do not preach ourselves, but Jesus Christ as Lord, and ourselves as your servants for Jesus' sake (2 Corinthians 4:4-5). In this passage, Paul identified Jesus as the image of God in a way that distinguished him from all other human beings. First, he associated God's image with Jesus' divine glory as God. And second, he highlighted Jesus' human office of Lord or king. The Son is the radiance of God's glory and the exact representation of his being (Hebrews 1:3). Anyone who has seen me has seen the Father (John 14:9). [The Father] brought us into the kingdom of the Son he loves … He is the image of the invisible God, the firstborn over all creation. For by him all things were created: things in heaven and on earth, visible and invisible, whether thrones or powers or rulers or authorities; all things were created by him and for him… And he is the head of the body, the church; he is the beginning and the firstborn from among the dead, so that in everything he might have the supremacy (Colossians 1:13-18). Jesus is God's image because he has supremacy in every area. He's the king of his own kingdom. He's the firstborn over creation, that is, he has the full rights of inheritance over creation. He's the creator of all other authorities, meaning that his own authority is greater than theirs. He's the head or ruler of the church, and he has the honor of being the first resurrected and glorified human being. In all these ways, Jesus is the perfect representation of God's power and glory, and the perfect example of what God's kingship and authority look like when expressed through a human being. Man … is the image and glory of God (1 Corinthians 11:7). So far, we've discussed our office as images of the true God by investigating the vocabulary of image and likeness, and by focusing on Jesus as God's most perfect image. Now let's look at our authority. As this passage indicates, the authority we've received from God has at least three aspects: We're authorized to fill the earth with God's images, to govern all earth's creatures, and to subdue the earth itself. We fill the earth by multiplying our numbers, so that we reproduce his living images throughout the world. This means that we can and should live in all parts of the world, carrying God's representative presence with us and establishing human culture everywhere we go. We govern all earth's creatures in various ways, including domesticating them, managing their habitats, and protecting them from mistreatment. And we subdue the earth itself through works like agriculture and the wise stewardship of earth's natural resources, turning it from a wilderness into a beautiful, life-supporting garden. In fact, the general idea we read in Genesis 1 and 2 is that humanity was supposed to expand the borders of the Garden of Eden until the entire planet was made into a fitting dwelling for God to inhabit. The ultimate goal was for God's special presence to fill the whole earth as fully as it originally filled the Garden of Eden. Our role or office as images of God elevates all humanity to the level of royalty. God has appointed us the task of administering his reign throughout the earth. And that office gives us great dignity. We're all kings and queens. And we should treat each other with the appropriate degree of respect and favor. While recognizing the dignity and honor we receive as God's servant kings, we need to remember that God is still the great authority over us. We're still accountable to him in all things. He's the Creator; we're his creatures. He's God; we're not. And we hold authority only because he grants it to us. So, we should exercise that delegated authority with great reverence and humility. Our reign over the earth is always subservient to the will of our great God and King. So, in our office as his images, we should never try to impose our own will. Instead, we should work to see God's will done on earth as it is in heaven. And we should do that in a way that gives him all the glory. Now that we've considered humanity as the image of God by exploring the office or position we hold, let's look at the attributes God gave us to empower us in that role. Systematic theology has traditionally taught that God's image can be seen in humanity through a variety of attributes that he shares with us. We've already seen that our office is similar to God's. He's the supreme emperor, and we're the servant kings that he's appointed to rule over creation on his behalf. But we also have many attributes that resemble his. For example, we can think and reason and plan. We make moral judgments. And we have immortal spirits. Now, God's attributes are infinitely greater and more perfect than ours. But as his images, we still resemble him in these ways. We'll focus on three categories of attributes that human beings share in common with God. First, we'll look at our moral qualities. Second, we'll consider our rational abilities. And third, we'll examine our spiritual attributes. Let's begin with our moral aspects. The term "moral" refers to our ability to distinguish between right and good and evil and wrong. In the case of Scripture, "right" and "good" are identified as those concepts, behaviors and emotions that God approves and blesses. And "wrong" and "evil" are the concepts, behaviors and emotions that he prohibits and punishes. And because we're created in God's image, we've been granted insight into his perspective on these matters. It's true that our moral judgment has been damaged by humanity's fall into sin. But it hasn't been completely destroyed. Moreover, for believers, it's in the process of being restored. Consider the moral attributes of Adam and Eve in the Garden of Eden. When God placed humanity in the Garden of Eden, they understood that they were supposed to work it and take care of it, just as God said in Genesis 2:15. And they recognized those obligations as morally good. But they also understood that they weren't supposed to eat from the Tree of the Knowledge of Good and Evil because God had prohibited it in Genesis 2:17. Sometimes Christians make the mistake of thinking that Adam and Eve didn't know right from wrong before they ate from the tree. But it's clear that this idea is mistaken. After all, in Genesis 3:2 and 3, Eve was able to tell the serpent what she was allowed to do and what she was forbidden to do. Then the eyes of both of them were opened, and they realized they were naked (Genesis 3:7). Your nakedness will be exposed and your shame uncovered. I will take vengeance; I will spare no one (Isaiah 47:3). To those who are corrupted and do not believe, nothing is pure. In fact, both their minds and consciences are corrupted (Titus 1:15). They claim to know God, but by their actions they deny him. They are detestable, disobedient and unfit for doing anything good (Titus 1:16). We find similar ideas throughout Scripture, including in Luke 6:43-45; John 15:4, 5; and Hebrews 11:6. In some theological traditions, the loss of our moral ability — along with our original righteousness and holiness — is thought to have been so great that we completely lost the image and likeness of God. But Scripture still refers to sinful humanity as God's images and likenesses. For example, Genesis 9:6 condemns murder because human beings are still God's images. And James 3:9 condemns cursing people because we're all created in God's likeness. So, most theological traditions have concluded that God's image and likeness in humanity were damaged but not destroyed. Put on the new self, created to be like God in true righteousness and holiness (Ephesians 4:24). The "new self" Paul described involves every aspect of our being, including our moral judgment and our ability to do things that please God. Our knowledge, our righteousness and our holiness are all being restored in Christ. And this restoration makes us more "like God," so that we become clearer images of him. With this understanding of our moral attributes in mind, let's turn to our rational abilities. From very early in church history, Christians have understood that the image of God in human beings includes our capacity to think rationally and process complex emotions. We can see the importance of humanity's rational capacity in the Garden of Eden in Genesis 2:19, 20. In these verses, Adam used his authority as God's image to give the animals appropriate names, and to evaluate their fitness for helping him fill and subdue the earth. Our fall into sin damaged our ability to think and to understand the world from God's perspective. But it didn't destroy it completely. We still have rational and emotional capacities, even if they don't work as well as they once did. For instance, as we learn in Romans 1:19, 20 even unbelievers have the rational capacity to know that God exists, and to recognize certain aspects of his invisible qualities and divine nature. The admirable light of truth displayed in them should remind us, that the human mind, however much fallen and perverted from its original integrity, is still adorned and invested with admirable gifts from its Creator. If we reflect that the Spirit of God is the only fountain of truth, we will be careful, as we would avoid offering insult to him, not to reject or condemn truth wherever it appears. Put on the new self, which is being renewed in knowledge in the image of its Creator (Colossians 3:10). The image of God originally included knowledge that was pure and unblemished. But, as we've said, our knowledge was damaged by humanity's fall into sin. When we come to faith in Christ, God begins to restore that aspect of his image in us. As a result, we're able to think and understand more correctly, so that our thoughts and reason become more aligned with his. Having looked at our moral and rational attributes as aspects of the image of God, we're ready to turn our attention to our spiritual attributes. Because God has no physical body, theologians often say that he's "a spirit." Of course, this doesn't mean that he's limited in the same way creaturely spirits are. Rather, it means that he exists beyond or above the natural realm, in the supernatural realm, where he doesn't have a physical body. God's spirituality is also apparent in Old Testament passages that refer to the Spirit of God. For instance, Genesis 1:2 refers to the Spirit of God hovering over the waters at creation. And Exodus 31:3 reports that the Spirit of God empowered the craftsman Bezalel to create the tabernacle and its furnishings. In Old Testament passages like these, the phrase "the Spirit of God" refers to God himself, who is a spirit. As we saw in a prior lesson, human beings also have a spiritual component. God created us with material bodies and immaterial souls or spirits. So, our immortal spiritual existence is another attribute that God shares with us. We can see this especially in Genesis 2:7, where God created a soul in Adam by breathing his own breath into Adam's body. We should also point out that God's creation of Adam distinguishes humanity from God's other creatures. Passages like Genesis 1:30, and 7:15, use the Hebrew words for "soul" and "spirit" to refer to the lives of animals. But only Adam is reported to have received his soul by God directly breathing it into him. Moreover, of all of God's creatures, only human beings are said to have a spiritual existence after our bodies die. Only human beings will be resurrected on the last day, as we read in John 5:28, 29. And Revelation 10:11–21:5 shows that only human beings will be either punished forever in hell, or rewarded forever in the new heavens and new earth. In prior centuries, systematic theologians often taught that the communicable attributes — or attributes that we share with God — were the primary aspects of his image in us. But more recent biblical scholarship has revealed that we bear his image primarily in terms of the office we hold. Even so, the attributes that God shares with us are still an important part of his image. These attributes have been damaged in us by our fall into sin. But they haven't been so badly damaged that we've ceased to be his images. We still hold the office of his servant rulers over creation. And with his grace and help, we're still able to carry out his will on the earth. So far in our lesson, we've explored the image of God as an office or position humanity holds, and as a set of attributes we possess. Now we're ready to address our last major topic: the relationships we have as God's images. When God appointed humanity to the office of his image, he created a variety of relationships. God became the great suzerain or emperor, and humanity began to serve him as his vassal or servant kings. Human beings began to relate to each other as fellow rulers. And the rest of creation became the subjects under humanity's rule. We'll investigate our relationships as images of God in three parts. First, we'll consider our relationship with God. Second, we'll examine our relationship with other human beings. And third, we'll focus on our relationship with creation. Let's look first at our relationship with God. As we saw in a prior lesson, when God created humanity he entered into a covenant relationship with us. This covenant resembled an ancient Near Eastern treaty between a great emperor or suzerain — in this case, God — and a vassal or servant king — in this case, humanity. In particular, God's covenant with humanity displayed three features that were common in ancient Near Eastern treaties: the suzerain's benevolence toward his vassal, the loyalty the suzerain required of his vassal, and the consequences that would result from the vassal's loyalty or disloyalty. And just as ancient Near Eastern covenants continued throughout the generations, God's covenant with humanity continues throughout our generations, too. We'll highlight three aspects of our covenant relationship with God that are specific to our role as his images: first our obligation to reflect God's character; second, our duty to promote pure worship; and third, our responsibility to build God's kingdom. Let's start with our call to reflect God's character. Of course, fallen human beings can't be utterly holy on our own merit. We rely entirely on Christ's perfect holiness for our standing before God. Nevertheless, God still requires us to pursue holiness in our lives through means such as keeping his commandments. If we claim to be without sin, we deceive ourselves and the truth is not in us… If we claim we have not sinned, we make him out to be a liar and his word has no place in our lives (1 John 1:8, 10). No man is able, either of himself, or by any grace received in this life, perfectly to keep the commandments of God; but doth daily break them in thought, word, and deed. We, who with unveiled faces all reflect the Lord's glory, are being transformed into his likeness with ever-increasing glory (2 Corinthians 3:18). Having looked at our relationship with God in terms of our obligation to reflect God's character, let's consider our duty to promote pure worship. You saw no form of any kind the day the Lord spoke to you at Horeb out of the fire. Therefore watch yourselves very carefully, so that you do not become corrupt and make for yourselves an idol, an image of any shape (Deuteronomy 4:15-16). Moses reminded his audience that God hadn't revealed himself in a physical form because he wanted to protect the purity of their worship. He wanted to keep Israel's relationship with God pure, unadulterated by the idolatrous theology and practices of the surrounding nations. He didn't want them to think that God could be spiritually bound to an object of any sort, or that such objects could be used to honor God, or to gain his approval or help. God is the true God, and he isn't to be treated like the false gods of the nations. So far we've seen that our covenant relationship with God requires his images to reflect God's character and to promote pure worship. Now let's look at our obligation to build God's kingdom. When God commanded humanity to "fill the earth" in Genesis 1:28, he was instructing us to place images of himself everywhere throughout the world. As we've seen, ancient kings would place their images around their kingdoms to remind the people of the kings' benevolence and greatness, to encourage the people to obey the kings, and to show that the kings were present with their people. And in a similar way, as human beings spread throughout the world, they demonstrate that God rules everywhere they go. But this demonstration isn't just symbolic. Since human beings are also God's vice-regents or servant kings, we carry his rule with us wherever we go. So, wherever we "subdue the earth," as God also commanded in Genesis 1:28, we're doing that appointed work. Nevertheless, all human beings are tasked with building God's kingdom. And those that build his enemy's kingdom instead are guilty of treason. Having considered our relationships as God's images with respect to God, let's turn our attention to other human beings. Being created in God's image impacts our relationships with other human beings in many ways. But for our purposes in this lesson, we'll mention just two: our obligation to treat people with dignity, and the importance of upholding justice. We'll start by considering human dignity. Imagine that a new mother and father took pictures of their baby and sent them to their family members. Some family members adored the baby, so they displayed the pictures in their homes. Others put them in their wallets and purses wanting to show them to their friends, or they put them in photo albums to protect them, to take care of them. But some family members disrespected the baby, defacing the pictures, throwing them in the trash. Well, you can imagine how offended the parents would be by the people that showed such disrespect for their baby in the pictures. Something similar is true of God's image in humanity. Every human being is valuable to him because every human being bears his image. And that means that every human being deserves to be treated with dignity and respect. Genesis 1:27, 28 and 5:1-3, teach that every human being bears God's image. This is true regardless of our gender, age, ethnicity, wealth, social status, health, abilities, appearance, or anything else that distinguishes us from each other. Yes, our attributes can reflect God in varying degrees. But every human being bears God's image sufficiently to be treated with dignity and respect. Every person represents God in some way. And to mistreat God's representative is to insult God himself. [He who] oppresses the poor shows contempt for their Maker, but [those who are] kind to the needy [honor] God (Proverbs 14:31). Besides recognizing the dignity of all human beings, it's also important to uphold justice. Scripture directly commands that we uphold justice for all images of God. Genesis 9:6 prohibits murder on the basis that all human beings are created in God's image; and James 3:9 prohibits cursing other people for the same reason. We can also see the importance of upholding justice by looking at God's kingdom. When God appointed humanity to build his kingdom, he commanded us to keep his covenant law, and to apply that law fairly and justly. Praise be to the Lord your God, who has delighted in you and placed you on his throne as king to rule for the Lord your God. Because of the love of your God for Israel and his desire to uphold them forever, he has made you king over them, to maintain justice and righteousness (2 Chronicles 9:8). The queen of Sheba rightly said that good kings "rule for the Lord," that is, they administer the authority he has delegated to them. And they use this authority to maintain justice and righteousness. Because all human beings share a similar role to Solomon's, we also share the responsibility of maintaining justice for our fellow human beings. He will bring justice to the nations… In faithfulness he will bring forth justice; he will not falter or be discouraged till he establishes justice on earth. In his law the islands will put their hope (Isaiah 42:1-4). As the examples of Solomon and Jesus show, preserving justice for all humanity is an important part of our role as God's images. Now that we've explored our relationships with God and other human beings, let's focus on the rest of creation. As God's images, human beings are in charge of creation. Our task is to fill and subdue the earth, and to rule over its creatures. Theologians often refer to this assignment as the "cultural mandate," because it requires us to cultivate the world, turning it from a wilderness into a garden, and to establish human culture and societies in every land. But what exactly does this entail? In Genesis 2:8, we're told that God planted a garden in Eden. But we're never told what the rest of the world looked like. We know that God called the world "good" throughout Genesis 1. And biblical scholars tend to agree that, in this case, the Hebrew word towb, which we translate as "good," means both "pleasing to God" and "physically beautiful." Nevertheless, the fact that humanity was assigned the task of subduing the earth implies that there was still work to do. Genesis 3:8 says that God used to walk in the Garden of Eden. So, it was a fitting place for him to dwell. As we saw in an earlier lesson, he gave priestly jobs to Adam and Eve in the Garden. So, the Garden was also his sanctuary or temple. But these facts imply that the rest of the world was different. Through the cultural mandate, God expected human beings to spread beyond the Garden's borders into the rest of the world, and to subdue it as they went, turning the entire world into God's garden sanctuary. In addition to cultivating the world, humanity was assigned the task of ruling over the animals. And we can get an idea of what this meant by looking at how God's law later provided for the humane treatment of animals. With regard to domesticated animals: Exodus 20:10 grants them a weekly Sabbath rest; Deuteronomy 22:10 prohibits unequal yoking, probably because of the physical stress it causes them; and Deuteronomy 25:4 permits an ox to eat the grain it's treading. With regard to wild animals: Exodus 23:11 permits them to eat from fallow fields; and Deuteronomy 22:6, 7 prohibits the killing or capture of a wild bird when gathering its eggs. Our responsibilities over the earth and its creatures indicate that the world doesn't exist simply for our use. On the contrary, it primarily exists for God's use. So, as his images, it's our job to guard and manage those things he called "good," and to cultivate them in ways that improve them rather than harm them. Being God's images has many implications for the way we relate to God, to other people, and to the world around us. As God's representatives on earth, our thoughts, behavior and emotions reflect on him. And he holds us personally responsible for carrying out our role in ways that accomplish his purposes, benefit his creation and creatures, and bring him glory. In this lesson, we've considered humanity's role as the image of God. We've explored our office by comparing it to images of false gods and images of the true God. We've described the moral, rational and spiritual attributes we possess as God's images. And we've considered the relationships we have with God, other human beings, and the rest of creation. Many modern philosophies are entirely human-centered. They believe that focusing on God as the ultimate authority reduces human beings to slaves; whereas, focusing on humanity apart from God promotes self-worth and confidence. But this is completely backwards. As God's images on earth, we have more worth and more significance than we could ever have on our own. God has placed his image on us, made us kings. We're responsible for representing his rule, exercising his delegated authority, expressing his character, and carrying out his will. What could possibly bring humanity more value and confidence than that? Rev. Bill Burns was formerly a lecturer of Systematic Theology at Redeemer Seminary in Dallas, TX. Rev. Agus G. Satyaputrais President of Bandung Theological Seminary. Rev. Dr. John W. Yates is Rector of Holy Trinity Anglican Church in Raleigh, NC.